Did you know about the legend of Bloody Mary being some child killer ghost people tell campfire ghost stories about? I didn’t until I just googled it. Thanks Google, enlightening people one search at a time. Today a friend of mine told me she and her girlfriend happened to be on my side of the bridge. 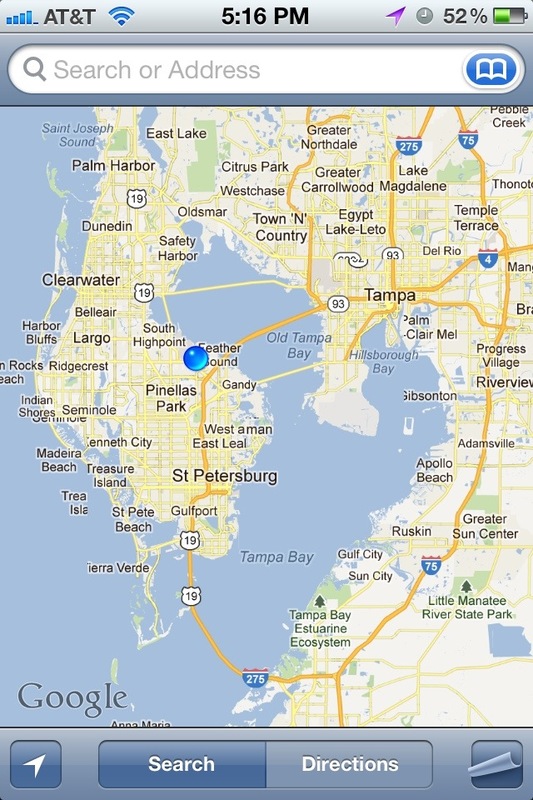 Geography Lesson: In the Tampa area, Tampa is to the east of Tampa Bay, and St. Petersburg is to the west of the bay, so in order to get to St. Pete you have to “cross the bridge”. A lot of people around here seem to think St. Pete is like traveling to another state or something, when in reality its only a 15-20 min drive depending on where you are going to/from. I happen to make this drive daily to get to work, so maybe I’m just used to it. 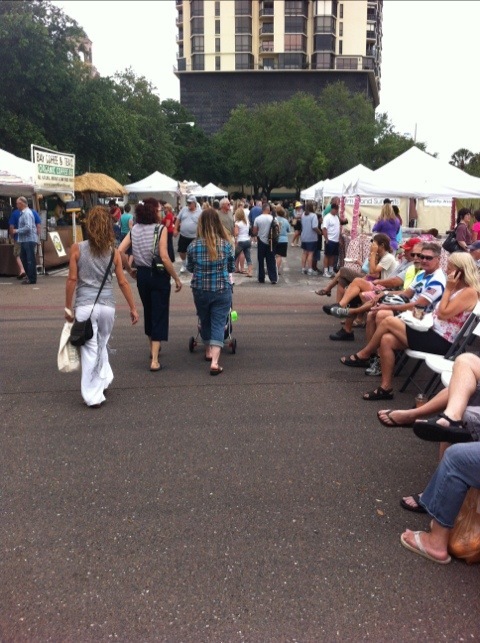 Anyways, so we decided to hit up the Saturday Morning Market, which is downtown and has all sorts of artisan crafts, food items, fresh produce, cheeses and plants to buy. They also have a bunch of food trucks so you can eat there, and live bands each week, which makes it a very fun and festive event. I ended up buying a blackberry bush (think they are considered bushes?) to plant in our Earth Box, which has been sitting empty for months- post to come on how it ends up working out. After a stroll around the market, we decided to go to Red Mesa Cantina, which turns into a club at night, but also offers a nice brunch menu. Evyan and Lindsay decided on pomegranate mimosas, and after having an epic rap battle between mimosas and bloody marys in my brain, decided to go with a bloody mary. My mom turned me onto the marys because she would usually have one when flying. I didn’t exactly feel like a fancy-schmancy pantsy today, so no mimosa. Let me tell you, I took a lot of flack for that “tomato soup in a glass”, but it was well worth the $3.50…times a few. 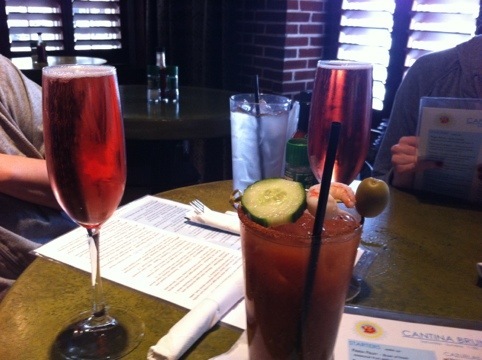 So what do you prefer for a brunch drink: mimosas or bloody marys?